It’s a pursuit that seems more like the plot of a science fiction movie than an actual goal of serious researchers around the world. But a number of scientists are fiercely working toward what was once only attainable in fables and fairy tales: they want to end aging. The quest has even inspired a competition with a monetary prize from that hub of innovation, Silicon Valley. The Palo Alto Longevity Prize, founded by Dr. Joon Yun, a radiologist who heads Palo Alto Investors, is offering $1 million in prize money as a way to urge researchers figure out how to “hack the code” of aging. While those in the growing field of longevity research admit the task at hand is expansive and complex, they say big advancements have already been made and expect to see more in the near future. “The goal is similar to all medical research which is to make people healthier and keep people alive longer so we can have more productive lives and not be such a burden to society,” David Sinclair, Ph.D., a professor of genetics and co-director of the Paul F. Glenn Center for the Biology of Aging at the Harvard Medical School, told CBS News. The Australian-born biologist, who sits on the board of the Palo Alto Longevity Prize, discovered in 2013 that Nicotinamide adenine dinucleotide (NAD), a chemical found in every living organism, can turn on defenses against aging, though its levels decrease the older we grow. Sinclair envisions a time — maybe not too far away — when doctors will prescribe medicine utilizing these findings to curb aging. The Palo Alto Prize is meant to inspire and reward such innovations. The competition was announced in 2014 and final registration closed this past December. Winning research teams in two different categories — who will be awarded $500,000 each — are expected to be announced by the end of 2019. The roughly 30 teams that are participating in the competition are taking a broad range of approaches, from stem cell therapies to gene modification to hormonal treatments to behavioral and nutritional interventions. Because of the nature of the competition, specifics about each project have not been disclosed to the public, but videos are available on the contest’s website with teams introducing their research. Yun is quick to point out that the aim of most of longevity research — and the ultimate goal of the Palo Alto competition — is not simply to extend life in terms of sheer number of years lived, but to enhance quality of life, as well. He explains this in terms of homeostatic capacity, which refers to the body’s natural ability to fight off stressors in order to remain healthy. He gave the example that when people are young and healthy and their blood pressure or sugar level is high, the body brings itself back to homeostasis on its own. But as we age, the body loses this ability. When asked why he set up the competition to find ways to solve these problems of aging, rather than invest the money directly into research, Yun said he thinks the nature of a contest yields the best results. But not everyone thinks the quest to cure aging is well-founded or wise. 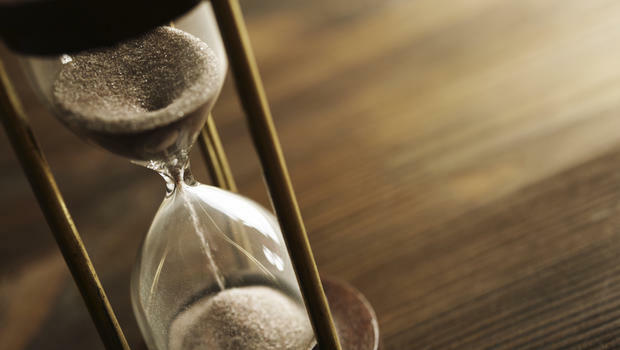 Several prominent bioethicists have spoken out against such efforts to extend longevity. For Emanuel, such frank discussions with older adults and time spent in self-reflection led him to the decision that he does not aspire to an exceptionally long life and would not take steps to extend it. In the Atlantic article, Emanuel, who is in good health in his late 50s, made clear that he is not looking to end his life through suicide or euthanasia. Rather, at 75, he believes he will be content enough with his life to not actively try to prolong it. “I think this manic desperation to endlessly extend life is misguided and potentially destructive,” he wrote. When asked about the views expressed by longevity researchers that their work focuses not just on extending years lived, but on increasing quality of life, Emanuel answered with plenty of skepticism. Of course, longevity researchers vehemently disagree and say such objections are misguided.